Military Appreciation Month occurs in May each year, and we want to take this time to honor the United States Coast Guard. Thank you for your service and all that you do to keep us safe. 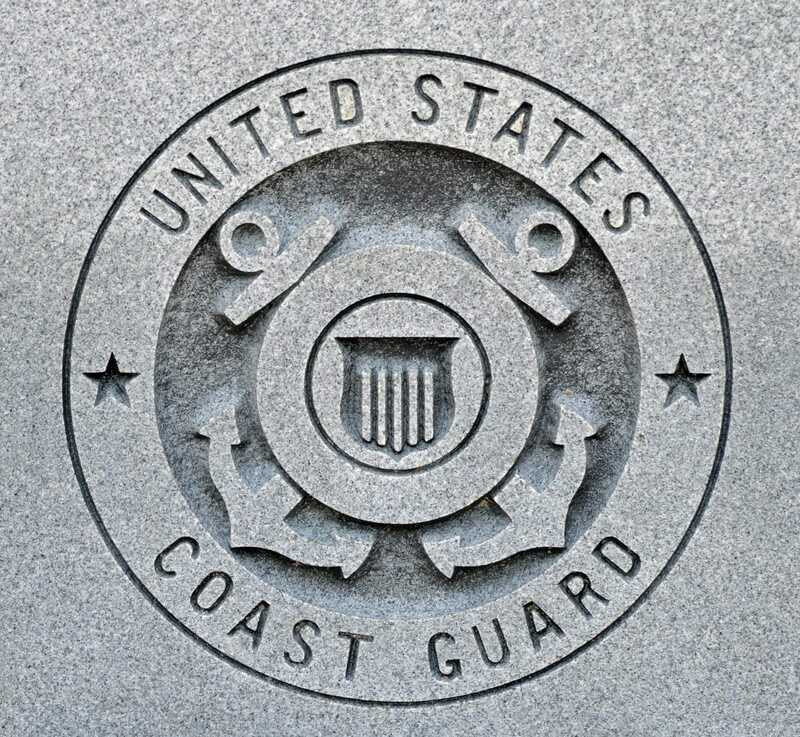 The Coast Guard is a U.S. federal agency responsible for the maritime safety, security, and environmental stewardship in U.S. waterways and ports. 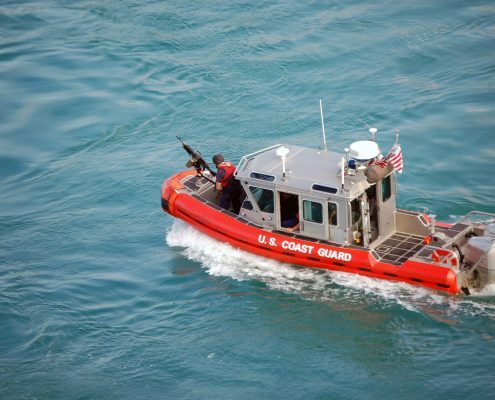 The Coast Guard defends and protects more than 100,000 miles along U.S. coastlines as well as inland waterways. U.S. Coast Guards also provide humanitarian aid to people in distress or to those who have experienced human-made and natural disasters both onshore and off. In addition to helping others, the Coast Guard works with the intelligence community to enforce laws in regards to maritime transportation, bridge administration, hazardous materials shipping, vessel construction and operation, as well as pilotage and oil spill response. Senator John McCain submitted legislation in 1999 asking for May to be officially known as Military Appreciation Month. The Senate and House of Representative then put forth resolutions as well. May was to be a time for Americans to honor our U.S. military. The President of the United States is now encouraged to issue a proclamation as well, asking the citizens and residents of the U.S. to honor this special month of heroes. The U.S. Coast Guard is one of five branches of the United States Armed Forces. More than 85,000 people are working within the Coast Guard, including Reservists, Auxiliarists, and full-time civilian employees. Although the Coast Guard is smaller than the other four military branches of the United States Armed Forces, it is still the twelfth largest naval force in the world. What Does the Coast Guard Do? 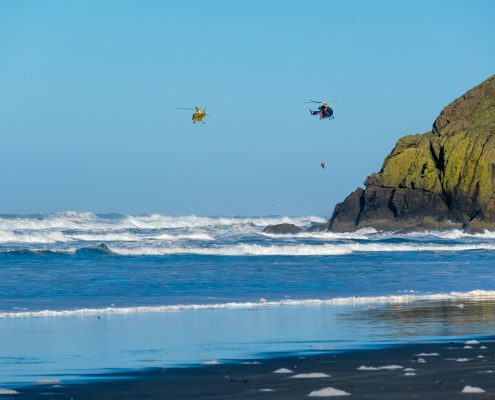 The Coast Guard provides maritime law enforcement, homeland security, patrol, environmental protection, search and rescue, and the maintenance of our rivers, as well as offshore aid to navigation. Carrying out three significant roles, Coast Guardsmen are in charge of maritime safety, maritime security, and marine stewardship. They run ICE operations and fisheries law enforcement, as well as defense readiness, migrant interdiction, drug interdiction, and search and rescue. Between all of that, they are also providing security to our ports, coasts, and waterways. The National Response Center, operated by the Coast Guard, deal with any and all reports of oil spills, chemical spills, biological spills, and radiological spills into the environment belonging to the United States. How Does the Coast Guard Operate? 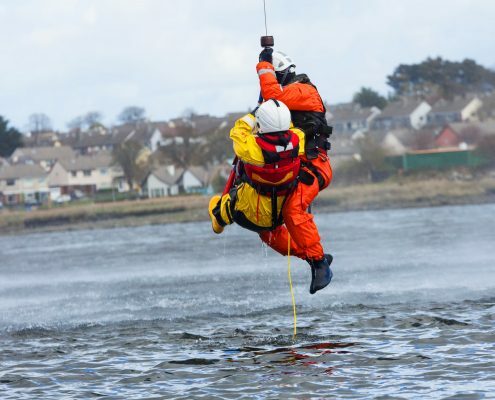 The Coast Guard is broken up into districts, and each district is responsible for Coast Guard Activities in specific areas along the coastline. For example, on the Atlantic coast, the 1st district controls activities in New York, Northern New Jersey, Rhode Island, Connecticut, Massachusetts, Vermont, New Hampshire, and Maine. Their headquarters are in Boston, Massachusetts. District 5 is in charge of the coast from South Carolina up to New Jersey, and District 7 is responsible for all Coast Guard Activities in the areas of Florida, Puerto Rico, Georgia, South Carolina and 34 foreign nations and territories, a total of 1.7 million square miles of ocean. There are districts for the Atlantic coastline as well as the Pacific. The U.S. Coast Guard Academy educates leaders of the Coast Guard. While enrolled, they develop the skills it takes to lead. Once they graduate from the academy, Commissioned Officers then lead teams of men and women all while being called on to serve their fellow citizens, community, and country. Coast Guard Reserves work side by side with full time enlisted Guardsmen. Reserves work two days a month, as well as two weeks a year at a base close to where they live. They also receive training in different fields including mechanics, communications, or computer processing. Not only do they work a full-time job at home, but then they add a part-time reserve position on top of it, all because they want to help others. 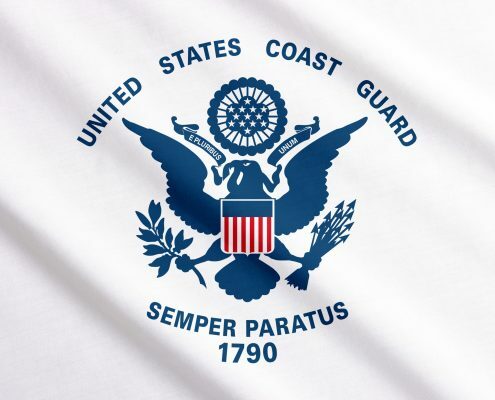 The U.S. Coast Guard was the creation of the Department of Treasury on August 4, 1790, when Alexander Hamilton asked Congress to fund the production of ten cutters, which are medium-sized sailing vessels. At that time, the cutters were the only naval force we had as a country, and they took on extra duties such as fighting against piracy, rescuing ships in distress, moving government officials, and sometimes even carrying mail. Today’s Coast Guard was officially created in 1915, combing the Revenue Cutter Service and the U.S. Life-Saving Service. In 1939, the Coast Guard took over the Lighthouse Service, and in 1942, the Bureau of Marine Inspection and Navigation. In 1967, the Coast Guard moved to the U.S. Department of Transportation, and then again in 2003, they moved to the Department of Homeland Security after the terrorist attacks of September 11, 2001. If you live near a waterway and have had help from a Guardsmen before, let them know that you appreciate their service. If you know of a Coast Guard station near you, bring them a gift basket or a handful of thank you notes. You can also go to your local schools and ask teachers or principals to have kids write thank you cards to the Coast Guard. You choose to join the Coast Guard because you want to help others. You enlist knowing that it will be hard, knowing that you’ll save lives as well as lose lives, and that makes you even more determined to make a difference.